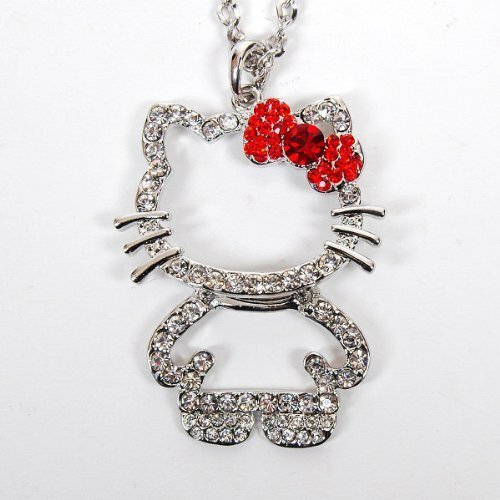 Hello Kitty Necklace Only $2.74 + FREE Shipping! You are here: Home / Great Deals / Amazon Deals / Hello Kitty Necklace Only $2.74 + FREE Shipping! Head over to Amazonand get the Hello Kitty Necklace with Bowknot-Red for Only $2.74. And, you will get FREE Shipping! This would be a great birthday or Christmas gift! Material: Glittering Rhinestones & Metal. Chain Length: 29.1″ (74 cm).